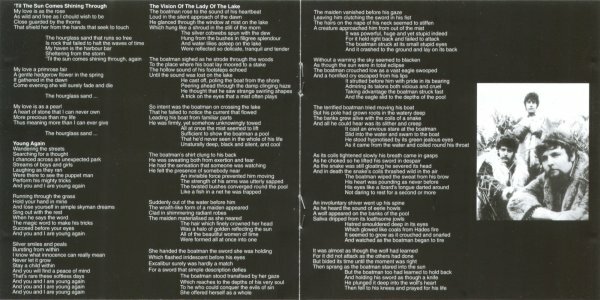 Two sided insert with lyrics. 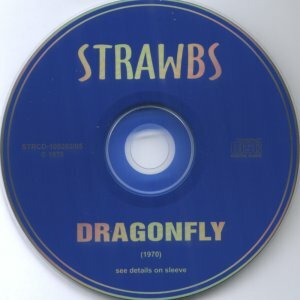 First release label is the cleaner version used for the first release of Strawbs. 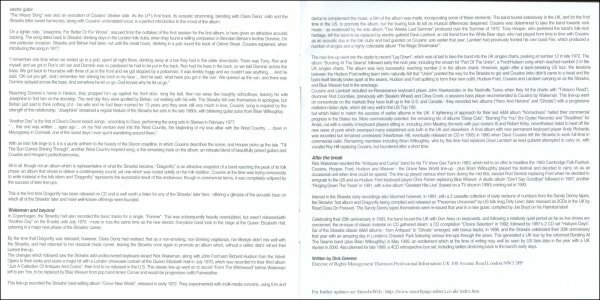 Second release has blocky text and TM acknowledgement. There are two different silver label releases as far as I can see, dates not known, but probably one came out in 1974, alongside silver label release of Strawbs. This is a variant of the second release - it included trademark info (so must have been late 1971 or later) but side 1 has 3 tracks listed above the A&M logo, 2 tracks below. The first release and normal pressing of the second release both have 2 above and 3 below. The label typography is subtly different as well: all the releases on the brown label used a bold font for the album title, band name, catalogue number and "STEREO". This uses a lighter font more common in later times - see eg. By Choice, though of course that was a silver label release. The line spacing on the right hand block below "STERERO" is different too. Cover is the same as the 2nd release. I'm guessing (but only guessing!) that this was a late repress just before the brown label was phased out in 1973, pressing up some stock on the basis that Bursting At The Seams was selling well. 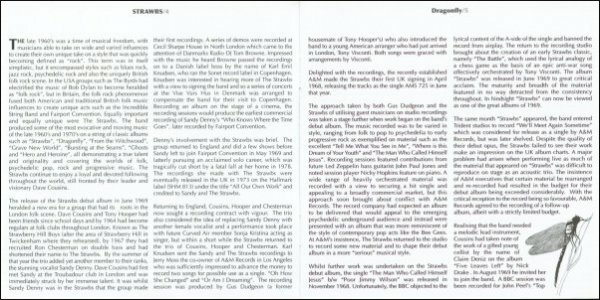 By 1972's Grave New World Strawbs' management had set up each of the songwriters with their own publishing company - Dave Cousins had Summerland Songs, which appears here in the publishing credits rather than the original Strawberry Music. Both UK silver label reissues have slightly different text at bottom right of the back cover, including A&M's trade mark info instead of the old 1/2 Geirge Street address. Some copies seem to have been stickered as promos. 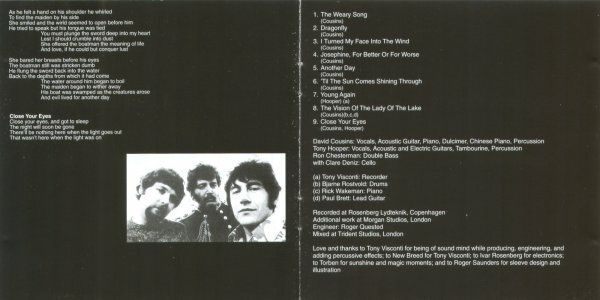 Slightly differnt back cover as for other silver label reissue. On the labels, lighter font used for the title and band name (same style as By Choice, released in 1974). Publishing credits are to Strawberry Music, which given that Summerland Songs was in use by 1974 is probably just a mistake. There was the usual insert in the copy I have (but as that came in a German stickered sleeve, so not certain to which release it belongs). Copy I have came from Germany in a German stickered UK sleeve, but I don't think this is a German copy. For the German sleeve see below. Vinyl album: SLPS 1517 (Sonet, Denmark, 1970). 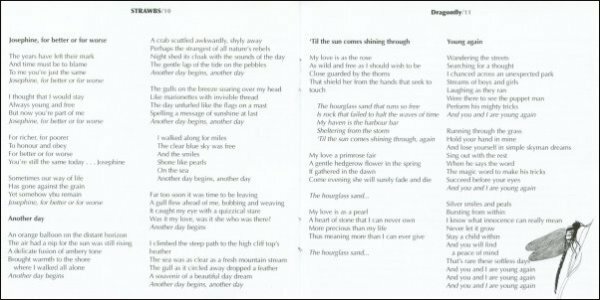 This was released by Sonet in Denmark (at that time Strawbs were signed to A&M through Sonet). A copy came up on Ebay a while back and is now in Alison's collection. It looks very much as though the sleeve was a UK sleeve, stickered with Sonet's information (this was also the case with the Strawbs' first album). Not certain whether there was a lyric sheet. Not clear whether it had an insert - reasonably likely if printed materials came from UK. 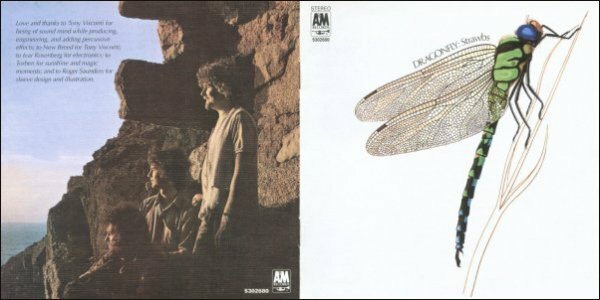 Strawbs was released in Australia (as was Antiques), so possible that Dragonfly was also. Anyone seen it ? Vinyl album: AML 235 (A&M/King Records, Japan, 1975). Single sleeve of sturdy card, not textured like UK release. Small A&M logo at top left with Japanese catalogue number. Back cover same as UK except for "Made in Japan" at bottom left and removal of UK cat number from righht hand of cover. 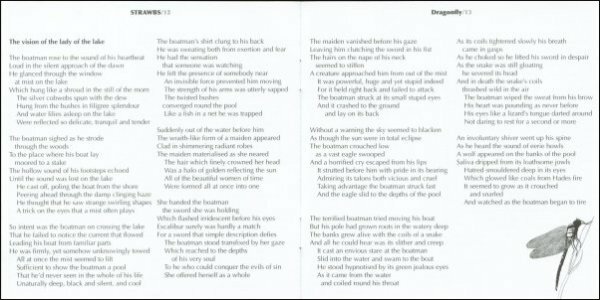 It comes with a four page insert, the middle two pages being the two sides of English lyrics reproduced from the UK insert. 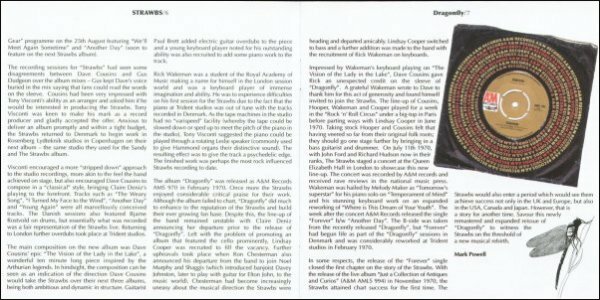 Page 1 is Japanese sleeve notes (they look to be very specific to the album with mentions in English of only Dragonfly and Strawbs, and a reference to Dominic Behan (most likely in connection with "Josephine"). They are dated Feb 1975. 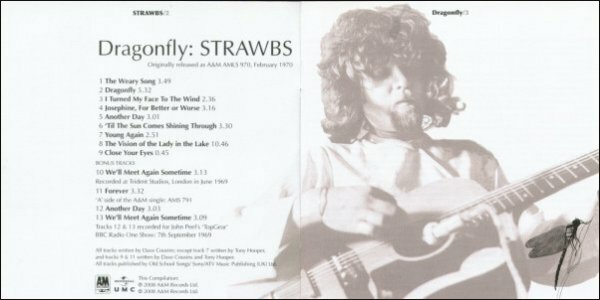 Page 4 listed the other Strawbs albums available. Vinyl album: AML 235 (A&M/King Records, Japan, probably 1975). A promo copy of this is on the Popsike archive of Ebay etc. auctions - anyone got one? 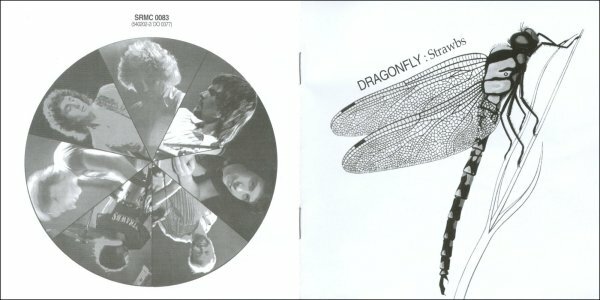 Early Strawbs Vinyl album (Canada only): SP9014 (A&M, 1974) 2LP set re-issues Dragonfly and Strawbs. 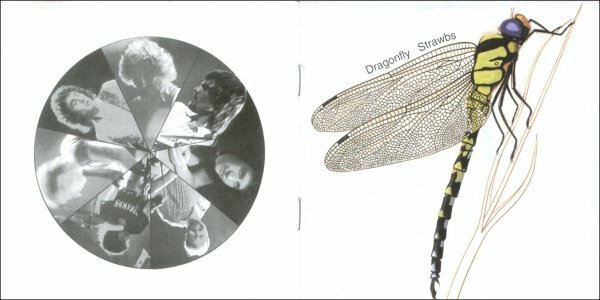 The two discs are arranged with a side of Strawbs on one side and a side of Dragonfly on the other so that you can stack the discs on a multi-changer record player, and play one of the albums in sequence, then turn them over and do the same thing with the other album. 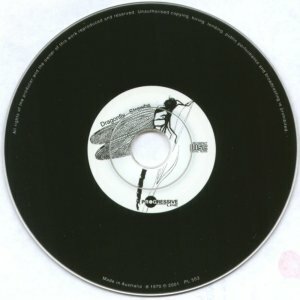 CD: SRMC 0083 (Si-Wan, 1999). Packaging is got up to look like the album (4pp sleeve notes and photos supplied by yours truly). Outer front cover matches the vinyl exactly. Back cover matches but has Si-Wan details added. 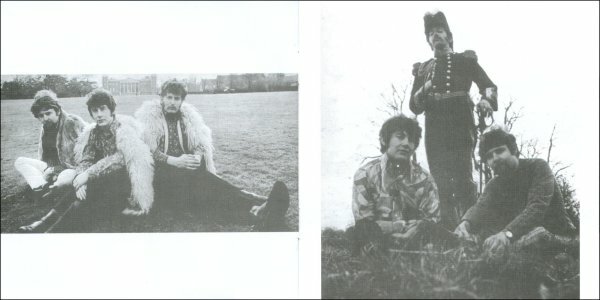 Black and white booklet includes both sides of the lyric insert lyrics and more unpublished photos from the Kew Gardens photo session used for the first album afghans, flowery shirts, and one of Ron Chesterman resplendent in naval uniform. 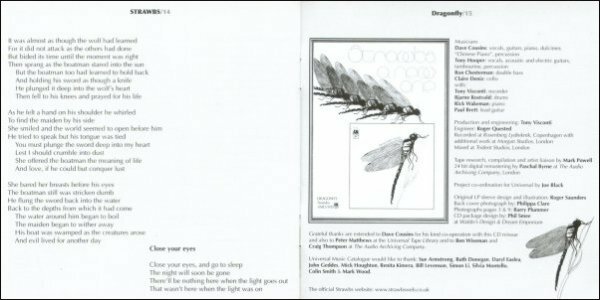 The back page has a non-contemporary graphic - the circular photo from the back of the inner sleeve of Burning For You (1977 - come on guys!) featuring Cousins, Cronk, Coombes, Robert Kirby, John Mealing and last but not least a bearded Dave Lambert bearing a striking resemblance to "Beppe" from EastEnders (this was written a LOOOONG time ago!) Again, the CD is got up to look like a mini vinyl album. Nice presentation. Comes with a nice protective fabric sleeve for the CD. CD: PL 503 (Progressive Line (bootleg)). Standard jewel case CD, with inner described below - NOT like the Si-Wan album facsimile styled release. The four photos from the Si-Wan release are all reproduced, though not as full page shots (no doubt nicked from the Si-Wan release!). 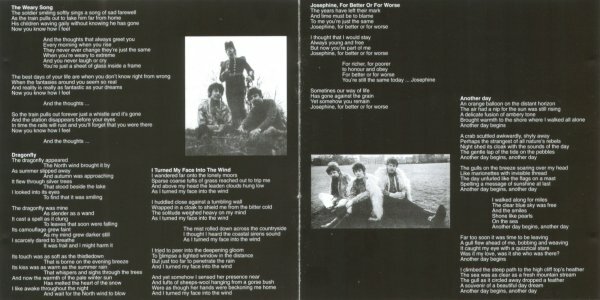 The back of the booklet (as with Si-Wan) is a black and white version of the Burning For You circular montage. CD: STRCD 100202/05 (Russian bootleg release, c 2000 or later?). 9 tracks as per album release (no bonuses). There's a date (2000) on the tray back, but I think that's (ironically) referencing some copyright act as part of the All Rights Reserved statement. Standard jewel case CD, almost certainly copied from the Progressive Line bootleg (the Si-Wan release has different lettering on the front cover). 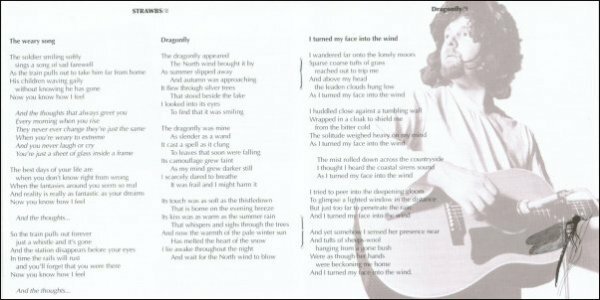 The 3xCD sized 6pp booklet, which has similar style to the PL bootleg , includes lyrics and some photos from the "Of A Time" period and then (as with both Si-Wan and PL) is a black and white version of the Burning For You circular montage, which is way off period. CD: A&M 5302680 (Universal, 2008). 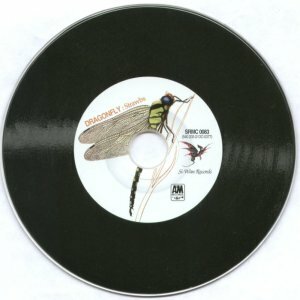 Promo CDs were passed to individual recipients, numbered and with their name printed on the CD. CD: UICY-78834 (Universal, Japan, 2018) Facsimile reissue including original lyrics insert and Japanese booklet, based firmly on UK vinyl release. Obi mimics original Japanese release.